In the changing of the weather, it's always calm right before the big stuff starts. 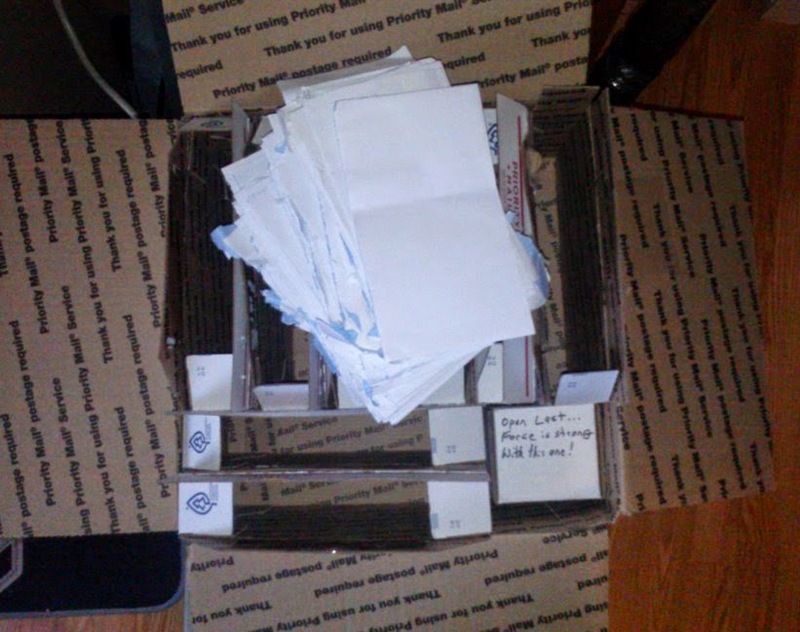 Same with the box from Wes. 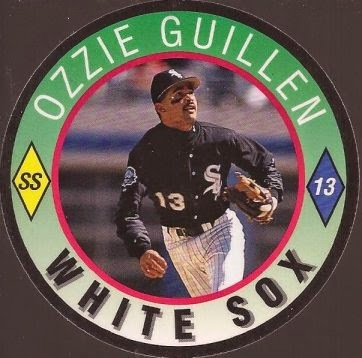 So before we get to the vintage and the rest, let's show off part two of the White Sox additions. We'll start with a nice bunch of Thome. Now, if I had changed my collecting years before, I would consider starting a player collection, but it's just too hard. 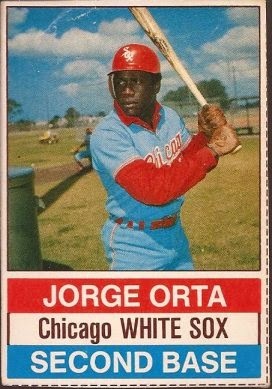 I may sort out all the SOx cards I have of Jim, but that will be the limit. That hit parade in the upper right fills an interesting hole. A good year ago, I won that very card on Listia. 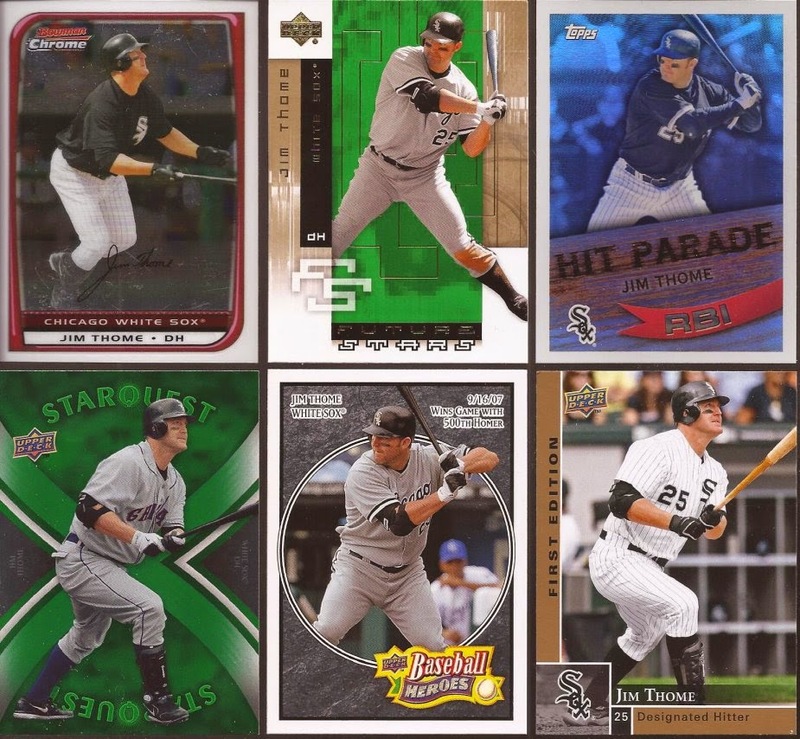 The seller shipped me the wrong card - a Frank Thomas hit parade. The Big Hurt wasn't a Sox on the card, though. Seller never came through to make it right. It's the only transaction on Listia I never left feedback for. Some Beckhams. No on the PC with him as well, though I still like the guy even though he's in Cali. I really should figure out which colored parallels I am missing from team sets. I think the sheer number in 2014 really put a damper on figuring out missing cards from previous years. Technically, this is pre 80 vintage, but I am lumping it in here, cuz really, it's my blog. Far better version on this Hostess then the one I own. And the background? That's not even a high school field? Hell - Benny, Squints and Ham played on a nicer field than that! This is a big card. Seriously, if you don't have one of these Score cards (from what year, I cannot figure out) you are a little surprised if you have handled other round cards/coins. I would say it's three inches across. Really glossy too. 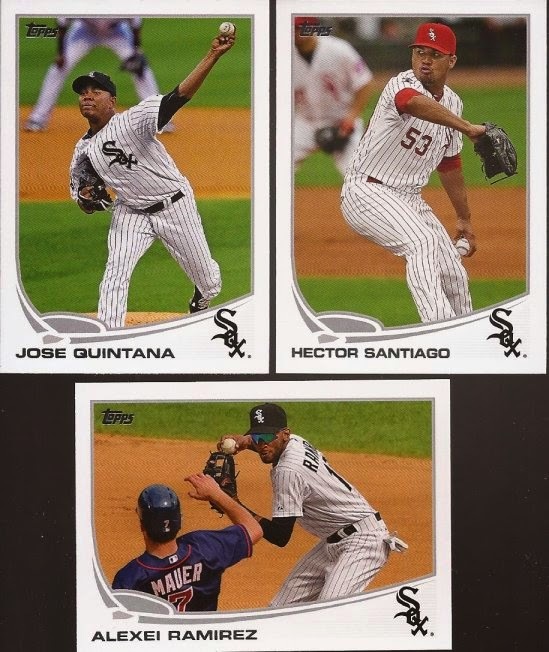 Lastly, from the current Sox are these three Konerkos for the new PC. I have to admit - that Band of Brothers card is not that bad. Bland - yes. But it works. 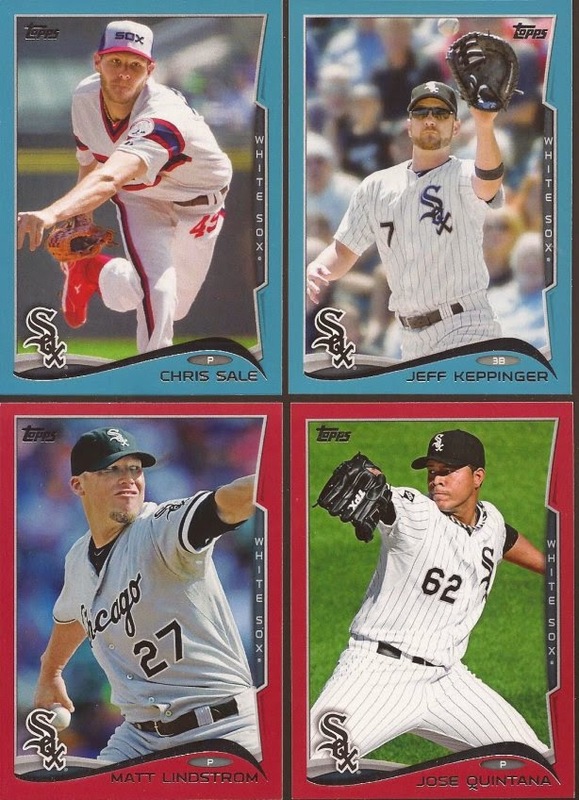 If you are keeping track, that was the prelude envelope, Blackhawks and post 80 White Sox. Tomorrow, we'll visit the vintage, followed by vintage player collections. Then, we dive into the last box I was to open. See the one in the lower right. It's labeled "open last". Oh, do I dare to share the wears in there. Look - another rhyme. Even though I didn't rhyme out "Sox", let's show another video with that cutie Szilvia Péter Szabó (from Nox).